Ovarian reserve testing provides a snapshot of your egg quantity. Since there is not one specific ‘ovarian reserve test’, a combination of multiple tests provides a gauge of your fertility potential. Note, however, these tests cannot predict egg quality. Just because an egg is mature does not mean it is a good quality egg (i.e. chromosomally sound). As you get older, the quality and quantity of your eggs significantly declines. And, unless you freeze embryos (which can be graded for quality), you will not know your “true” egg count until you are ready to use your eggs. Didn’t know you could test your ovarian reserve? Don’t worry, you are not alone! 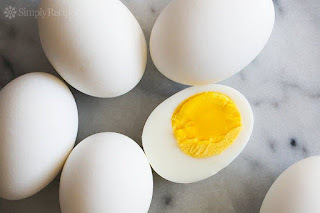 Because these tests are not widely promoted by the medical industry, most women do not know that three relatively inexpensive blood tests (AMH, FSH, E2) can gauge the health of their eggs. If your GP or GYN is reluctant to request a blood panel because ‘you’re young and have nothing to worry about’- find another doctor. Take ownership of your fertility and surround yourself with professionals who will help you plan and achieve your fertility goals.